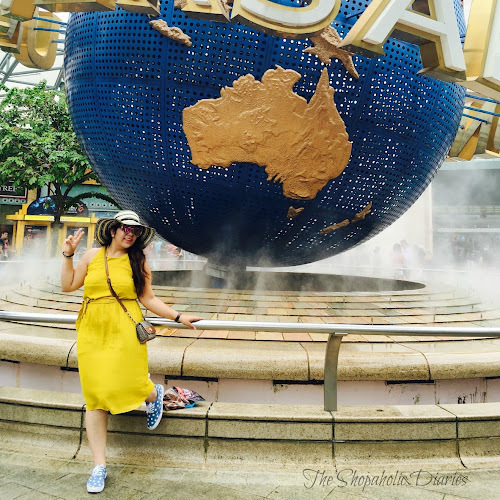 OOTD - Matching It All | Curvy Style Guide | The Shopaholic Diaries - Indian Fashion, Shopping and Lifestyle Blog ! Hope you all are doing great and enjoy this week. 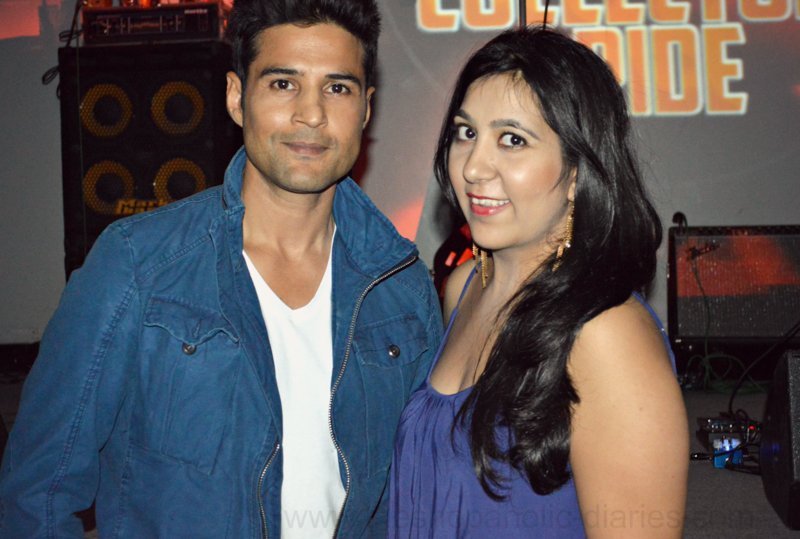 Last Sunday I was invited over to attend the OLX Collectors Ride event held at Blue Frog, Delhi where the brand unveiled 'The Freedom Bike’, a 12-feet-long motorcycle art installation made entirely of vintage items. 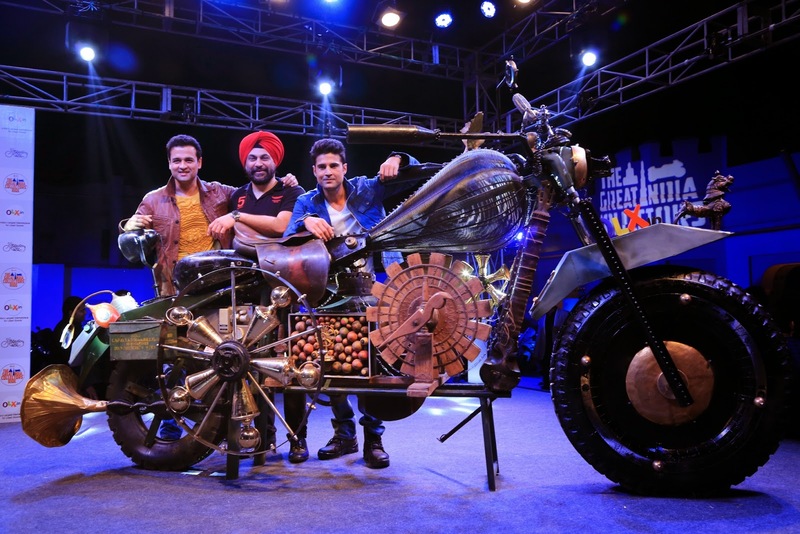 This extraordinary piece of art, made entirely of collectible and vintage items, was unveiled by OLX in Delhi on Sunday, September 14th in the presence of leading motorcycle communities, artists, media, actors such as Rajiv Khandelwal and Rohit Roy, and popular music band Indian Ocean, which also performed at the event. 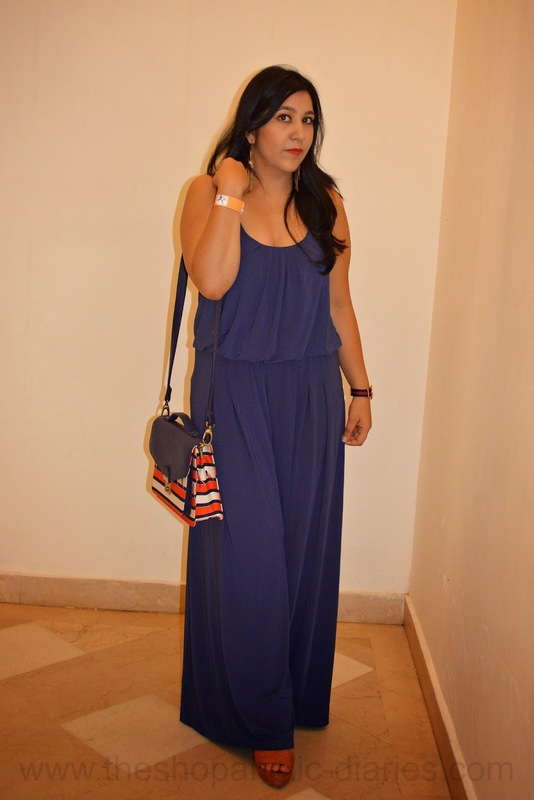 As the event was organized outdoors (after-party was in the club) in the evening, I decided to wear my new Vero Moda jumpsuit in solid blue color which has a flattering silhouette. This outfit is also the part of my Curvy Style Guide on how to wear a jumpsuit as many a times we get confused about which jumpsuit/romper to pick for our body shape. If you love the comfy feel of jumpsuits like me, you should go for a solid colored jumpsuit in sophisticated fabric or one with a light print so that it hides your problem areas. Also, you should ideally go for a jumpsuit which has a defined waist or a belt strategically placed for an hour glass effect. 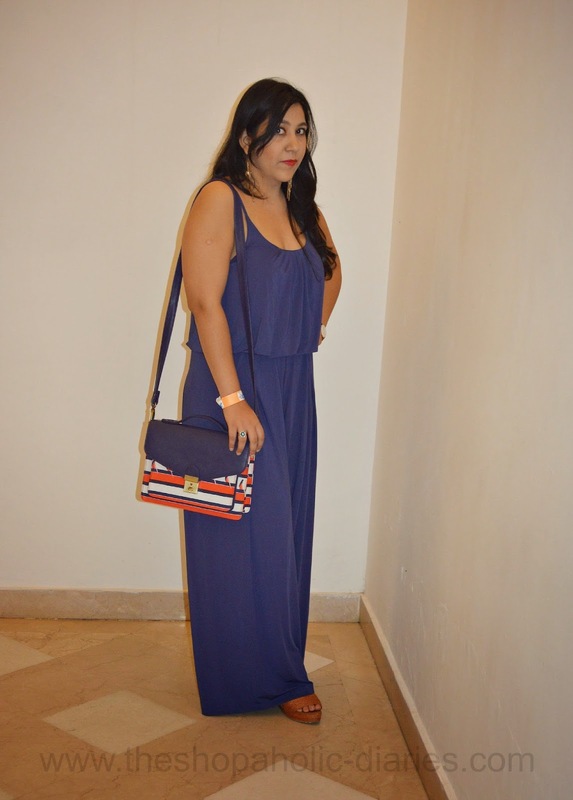 I teamed up my jumpsuit with a stylish bird print and striped satchel bag in a matching color palette from The Purple Sack - an online brand which deals in trendy accessories like bags, belts, scarves and more. 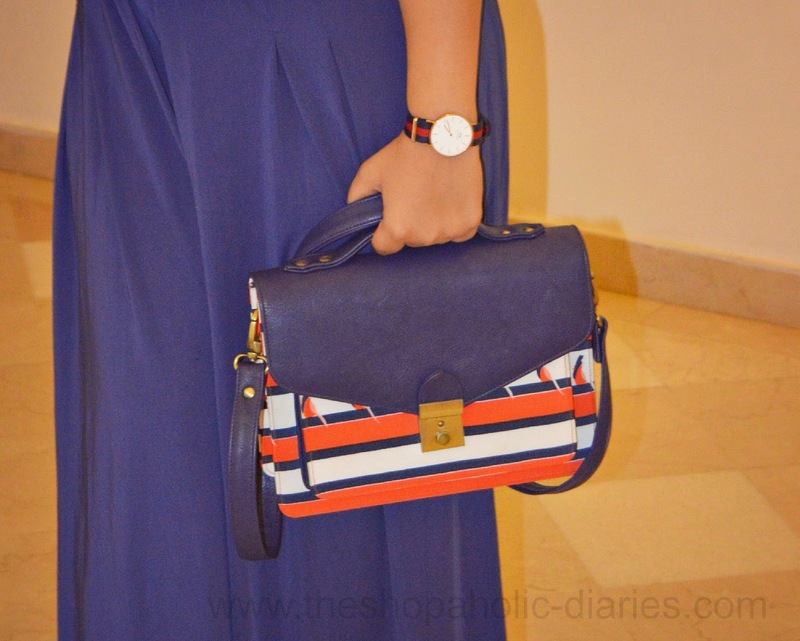 My Daniel Wellington watch with the Classic Oxford wristband looked like it was made to compliment this bag and the jumpsuit. The stylish sling bag I carried from The Purple Sack is a fun, super cool bag with lots of space to carry the basics you need while going out. It comes with a detachable shoulder strap to carry it as a briefcase bag.
" 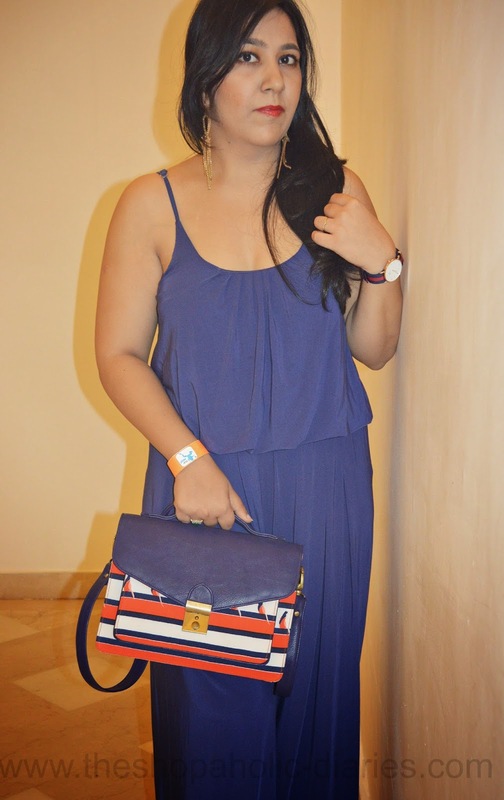 The brand The Purple Sack is the brain child of Tanvi Gupta, who specializes in fashion and lifestyle accessories. The concept behind ‘The Purple Sack’ is a magical sack that you can fill up with everything you need and satisfy all your accessory fetishes." 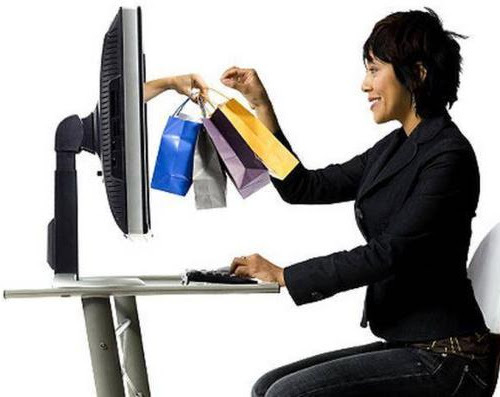 At this trendy online store you would find a wide range of stylish bags, gadget accessories, scarves and wallets, and also many lifestyle products like magazine racks, coasters, diaries etc. 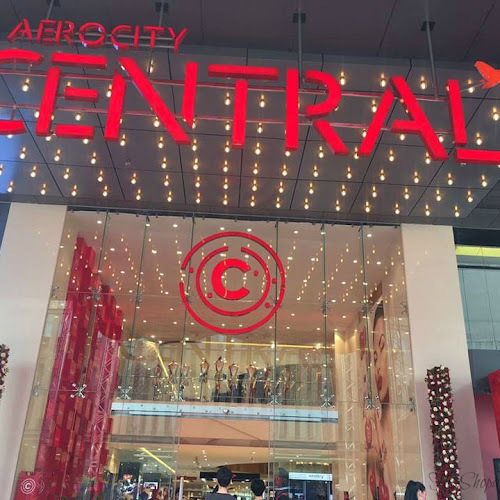 to meet all your fashion needs. Plus, all these accessories and bags are customized to ensure you get the best in quality and style at prices which won't burn a hole in your pocket. What do you have to say about this look? Also, do share how you like to style jumpsuits in the COMMENTS below. That must have been a cool Sunday! Love the jumpsuit. And that jumpsuit totally complimenta you. Loved it. Seems like a fun night. Loved this post. I like your styling... chic and classy, yet comfortable kinds. The bag adds that much needed zing to your look. 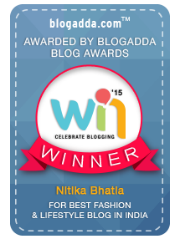 Great post and uber chic styling. Here's a great dress to create a mystery around the curves.